We have a very large trade network across the UK and Ireland with more and more accounts being set up every week. Whether you're interested in scope mounting hardware, gun furniture, rifle/shotgun cleaning or rifles, we can provide you with excellent Trade Discounts. Contact us via email at sales@alanrhone.com or phone on 01978 66 00 01. You return the completed form plus a valid Registered Firearms Dealer (RFD) Certificate. Once your account is set up, we give you access to our Pricelist and excellent Trade Prices across our entire range of products. Already have a Trade Account with us? 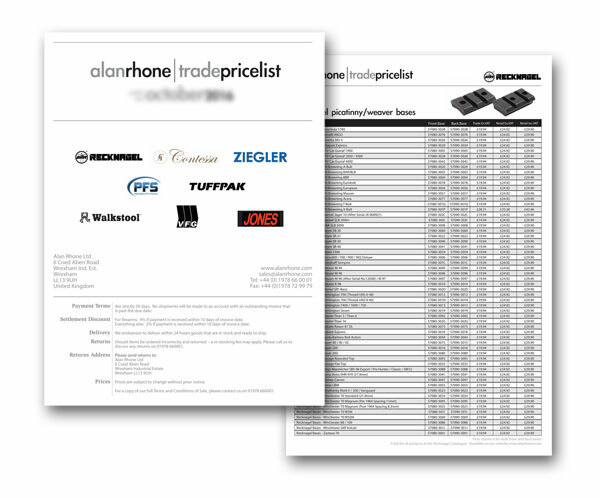 Request our Latest Pricelist to be sent via email. This will contain the latest trade prices and any special deals we're promoting. 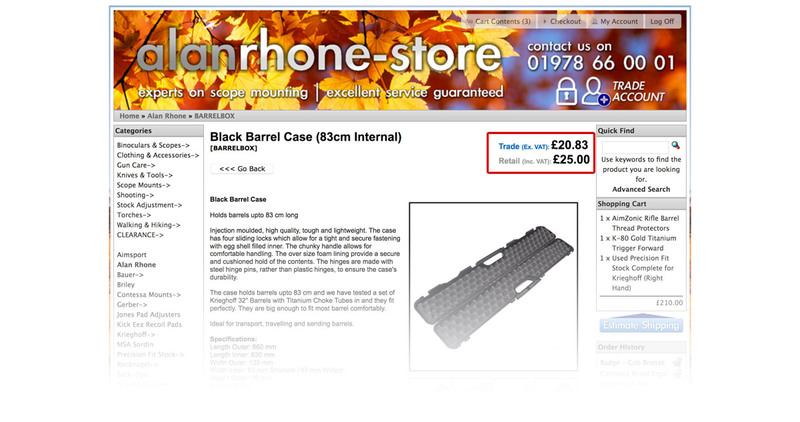 The latest feature on the Alan Rhone Store is the Trade Account Login. See More Information Here. You must already have a valid Trade Account with us to be able to log in as a Trade Account and place orders via the Online Store. If you do not have an account with us, you will not be able to access the Trade Prices.